“ The development of Olympia Assembly was directly inspired and informed by Rojava. 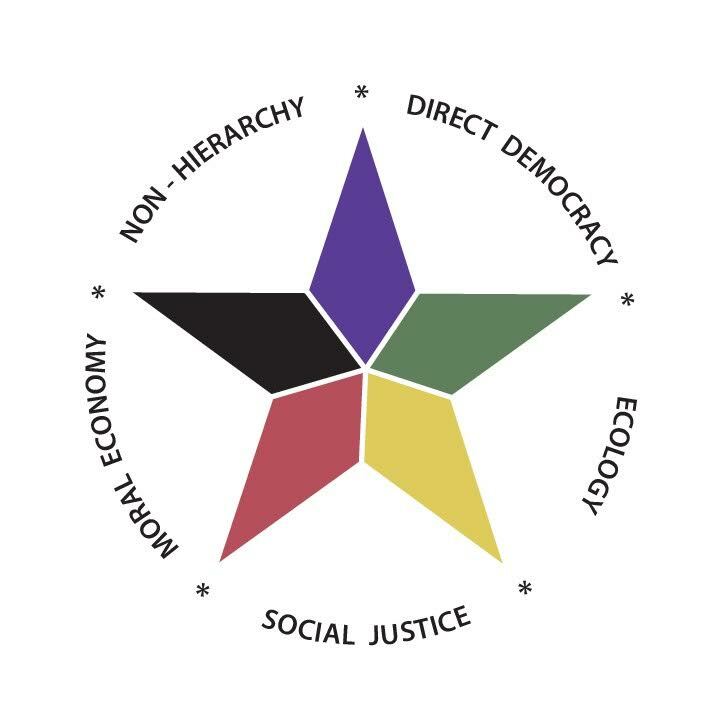 The 5-colored star that we use in many of our graphics was designed as a visual distillation of the foundational values of the Rojava revolution – democracy, social ecology, feminism, cooperative economics and non-hierarchy – and we in turn have adopted them as points of unity for people participating in assemblies and other projects we are engaged in.So when the Rojava revolution came under under attack by Turkey’s illegal invasion of Afrin Canton this January, we felt obliged to support our comrades overseas in the defence of their homes, lives and ideals. At first, we were unsure about what actions could have a meaningful impact from such a distance. There are no Turkish embassies nearby to demonstrate against, and there is no visibly organized Kurdish diaspora community in our small city to unite with, so we felt we had to do something else. On March 8th – International Women’s Day – members of Olympia Assembly, Demand Utopia, Olympia Industrial Workers of the World (IWW) and other supporters of the Rojava revolution held a banner at Percival Landing expressing our solidarity with the women of Rojava and the global fight against patriarchal violence in downtown Olympia. However, we were not satisfied with this brief show of solidarity, and wanted to do more to tangibly support the revolution. 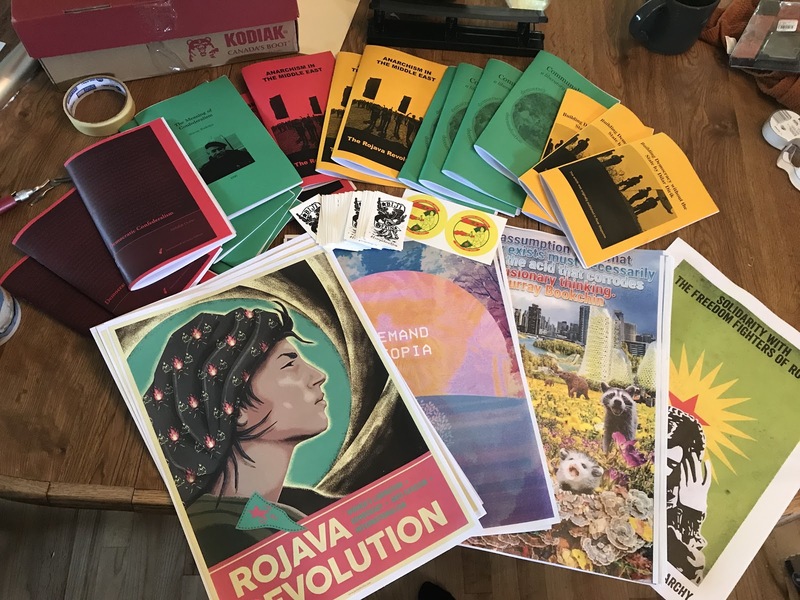 In conversation with Demand Utopia and the North American Kurdish Alliance, we resolved to call for a national day of solidarity in North America, in the hopes of revitalizing the North American Rojava Solidarity movement at this critical time. We settled on March 24th, which falls shortly after the Kurdish celebration of Newroz and then put out the call. The internationalist response was greater than anything we initially hoped for or expected, as cities across North America, Europe, Asia and Latin America rose up to answer the call in one of the largest ever coordinated days of action in support of Rojava. Here in Olympia, we decided that the most helpful thing we could do would be to raise money for humanitarian aid through Hevya Sor, the primary organization saving lives during the siege of Afrin, and to educate our community about the history and potentials of the Rojava revolution. Just because we are knowledgeable about it does not mean most people here are, and educating others about the revolution also helps to further our own organizing. After all, for many of us, it was the example set by Rojava that made us believe in the potential of democratic confederalism and social ecology as a solution to our own problems at home. And so we decided that the best way to do all of this would be to throw a party! Rallies and protests are important, but in this instance we thought a social and cultural event would best meet our goals. A few of us took on the responsibility of organizing the party, and received a great deal of support from our many comrades in making it a hit. The first part of the day involved a “secret cafe”, in other words, cooking and selling food by donation, along with a screening of the film Roza: Country of Two Rivers followed by a discussion. 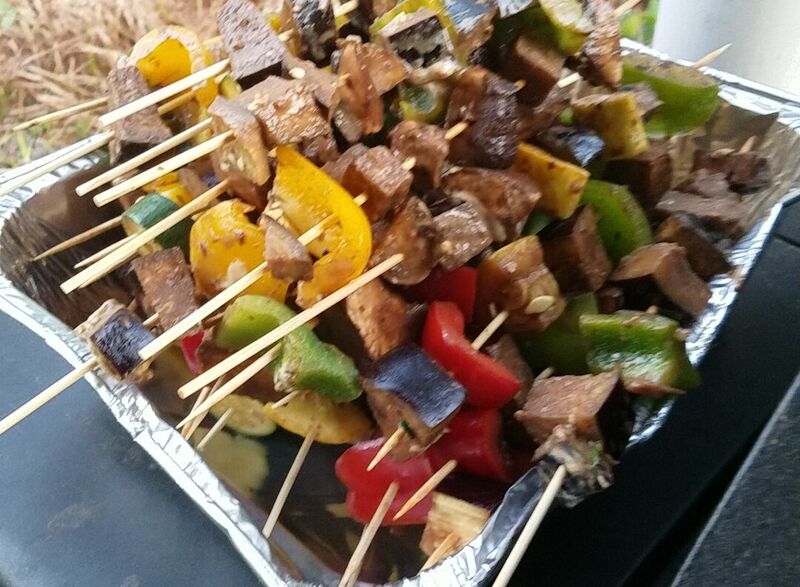 We prepared delicious grilled meats and veggies, desserts and snacks, as well as a table of posters, buttons, stickers and pamphlets about Rojava and Social Ecology. Around 50 people came and watched the film. During the discussion after the screening, we were very fortunate to hear from a comrade of the late Anna Campbell, a 26 year old British volunteer with the YPJ who was killed on March 15 in a Turkish airstrike on her unit, while defending Afrin city. Anna’s comrade shared memories of their time together in England, and stories of Anna’s steadfast commitment to social justice, which moved many present to tears. We ended the discussion period with a moment of silence for all of those who have lost their lives in defense of freedom while fighting in Rojava. Following the film screening, we hosted a rather raucous party, featuring the musical talents of Ben Mcspadden, Long Sought Rest, the Window Smashing Job Creators and Overhill Ln. Throughout the night we fed our neighbors and comrades, inspired and educated them, and raised $1000 dollars for medical aid.